Character Design Challenge #304 – Masterworks – Results! This week's winner is HerrD for this remarkable take on the source material. Brilliant!!! Well done you! Nailed it! Please join me in congratulating HerrD on an amazing piece of work. 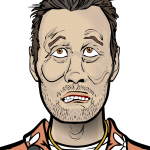 5 Responses to Character Design Challenge #304 – Masterworks – Results! Thanks! I wonder if it’s the season, or if it’s that the last Masterworks was two weeks that narrowed the list of daring entrants? That is so near to breaking the limits of the HM tool. Well done! 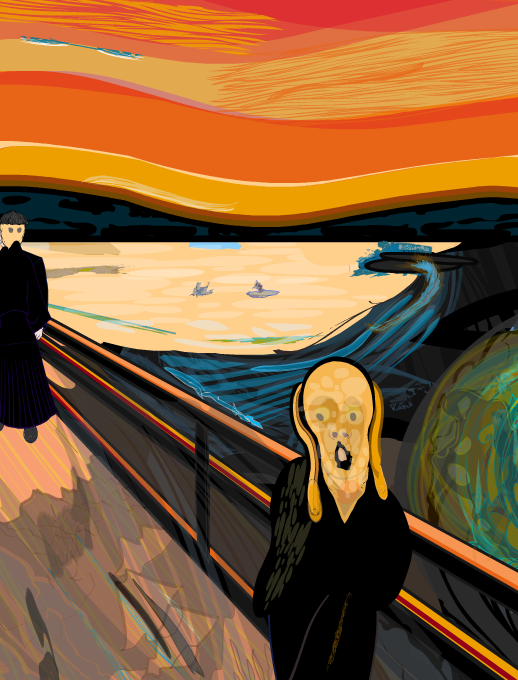 Not only recognizable as “The Scream,” but you can instantly tell that this is a Herr D adaptation. As with Van Gogh’s “Starry Night,” Herr D’s abstract, non-euclidean style works so well.